INDUSTRY.co.id - Seoul - G-Dragon has been conscripted at the end of February, on February 27, 2018. After leaving for military service, GD Dragon's most recent GD Dragon photo is widespread in social media namely on an online community site. Excerpted from soompi on Monday (19/3/2018), visible in the photo, GD showed a bright smile by doing style with a heart symbol with his finger. Meanwhile, other photos show themselves while being military discipline. 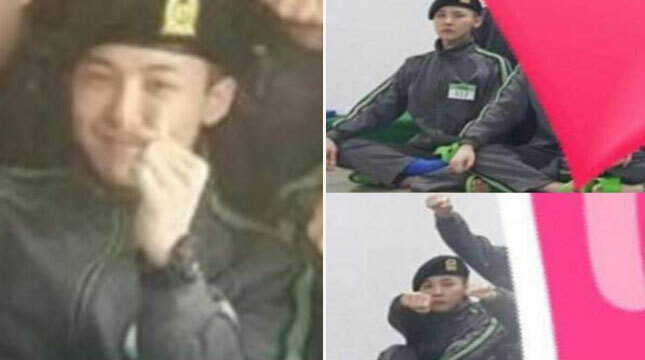 After G-Dragon completes his basic military training and accepts his military duty, the singer will be on duty until completion in November 2019.